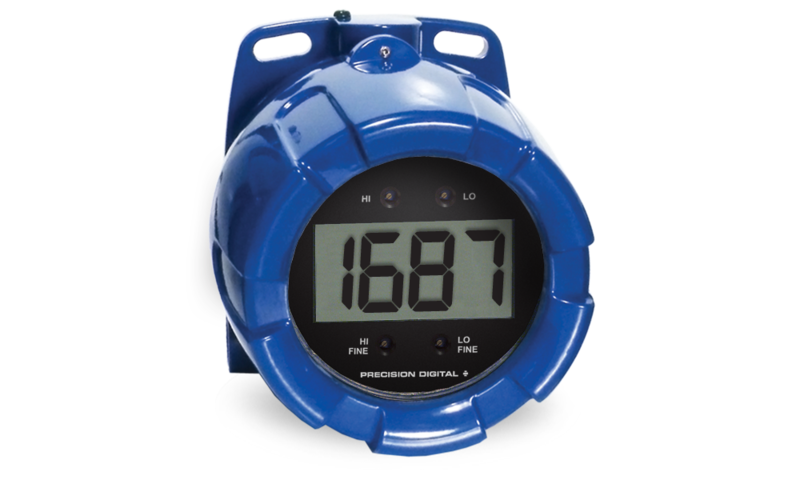 The PD6870 is an FM Approved, CSA Certified and ATEX and IECEx Certified explosion-proof loop-powered indicator that is easy to install and program. It can be seen from considerable distance and even in bright sunlight. The fact that this meter is loop-powered means that there is no need to run additional, costly power lines into a hazardous area. 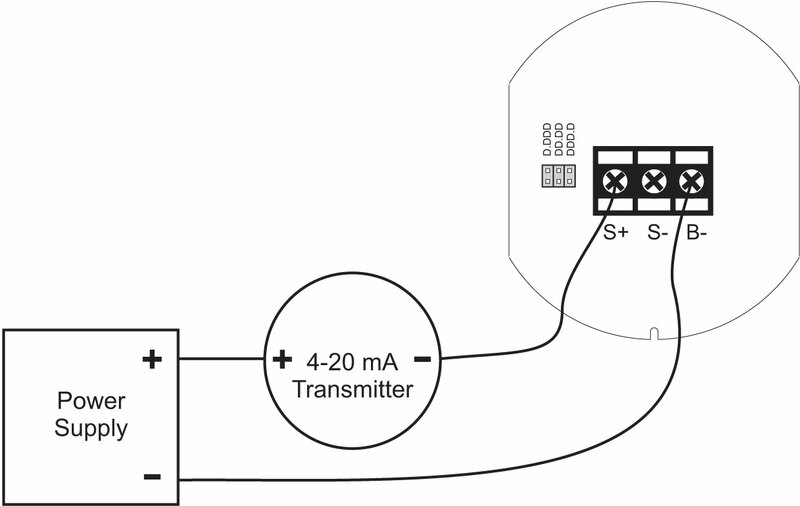 The meter gets all of the power it needs from the 4-20 mA loop and its 1 V drop results in a minimal burden on the loop. The meter features a wide -40 to +75°C operating temperature range and comes with two ¾" NPT threaded conduit openings and flanges for wall or pipe mounting. Calibration is a quick two-step process involving the adjustment of only high and low, non-interacting potentiometers. Enclosure: Explosion-proof die cast aluminum with glass window, 0.30% max copper content, corrosion resistant epoxy coating, color: blue. NEMA 4X, IP68. Two ¾" NPT threaded conduit openings. One ¾" NPT nickel plated brass conduit plug with 10 mm hex key fitting installed. Loop-Powered Backlight Option: Factory installed only. Powered directly from the 4-20 mA loop, no batteries required. Backlight can be	enabled or disabled via alternative wiring of terminal block. The display brightness will increase as the input signal current increases.